The CDE is proud to count more than 1300 alumni representing 110 countries among its elite group of graduates from the Master of Arts in Development Economics Program. The program which has spanned more than 50 years is proud of the number of alumni who are still actively engaged in development work either in their home country, in another developing country, or for an international development agency. Want to keep connected to Williams College? While CDE alumni come from around the world, the ties to the CDE are strong. We foster this attachment by encouraging communications with the CDE in updating personal information and by publishing information about our alumni. We also provide information on how to start a list server either by country or by class and we will help in this endeavor. Alumni Directory – Click here to login to the secure directory and locate other alumni. Edit and update your contact information online and keep in touch with other alumni. Eph Notes – For Williams alumni and friends. Connect to a quick online overview of news at Williams. Links to News Releases. 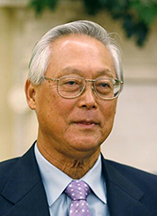 Goh Chok Tong, CDE ’67 and LLD ’95, Singapore: Emeritus Senior Minister. Chairman, Singapore Monetary Authority, 2004–2011. Prime Minister of the Republic of Singapore, November 1990–August 2004. 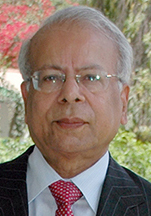 Ishrat Husain, CDE ’72, Pakistan: Professor Emeritus, IBA Karachi. Dean, Institute of Business Administration, 2008–2016. Chairman, Civil Service Reform Commission, 2006–2008. Governor, State Bank of Pakistan (central bank), 1999–2005. Jada Wattanasiritham, CDE ’72, Thailand: The first woman enrolled in the CDE program. President and CEO of Siam Commercial Bank, 1999–2006. Ken Matambo, CDE ’75, Botswana: Minister of Finance since 2009. Managing Director, Botswana Development Corporation, 1998–2008. 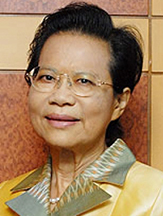 Permanent Secretary of the Ministry of Finance, 1995–1997. 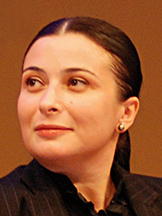 Eteri Kvintradze, CDE ’99, Georgia: IMF Resident Representative to Sri Lanka, 2013–present. IMF Representative to Bangladesh. 2010–2013. Deputy Minister of Finance, Georgia, 2001–2002. 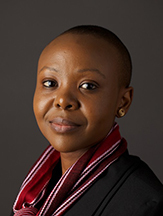 Elsie Kanza, CDE ’00, Tanzania: Member of Executive Committee, World Economic Forum, 2014–present. Senior Director, Head of Africa, World Economic Forum, 2011–present. 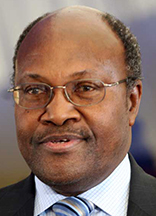 Personal Assistant (Economic Affairs) to the President of Tanzania, 2006–2011. Ministry of Finance and Bank of Tanzania, 1997–2006. Felix Nkulukusa, CDE ’05, Zambia: Permanent Secretary, Ministry of Finance and Economic Planning, 2011–2015. 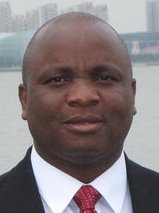 Director, Economic Management Dept, Zambia, 2010–2011. 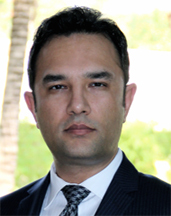 Wahid Waissi, CDE ’05, Afghanistan: Afghanistan Ambassador to Australia, 2017–present. Director General for Economic Cooperation, Ministry of Foreign Affairs, 2012–2016. Director, Afghanistan National Development Strategy, 2008–2011. Gela Prodani, CDE ’09, Albania: Secretary General of Finance, 2013–present. Director of Budget Management and Monitoring, 2005–2013. 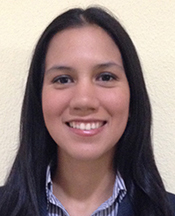 Maria Jose Sobalvarro, CDE ’13, Nicaragua: Manager, Department of Administration, Banco Central de Nicaragua, 2015-present. Staff of the BCN President, 2013–2015.